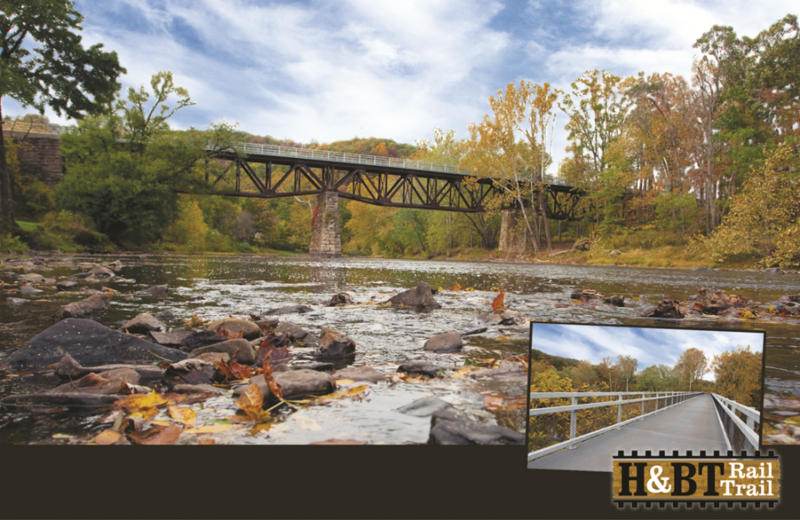 The H&BT Rail Trail reuses an abandoned railroad right-of-way and railroad bridge to provide public recreational access along the Raystown Branch of the Juniata River. The trail connects Hopewell Borough and Tatesville, intersecting with two public parks, Riddlesburg Park at the North and Cooper Park at the Trail Center. Construction is slated to begin this spring on an additional 1.5 miles of trail northward from the Riddlesburg Trailhead to the Red Cut area with completion by fall 2019. Currently the 10.6 miles of H&BT Trail is passable from Riddlesburg to Tatesville. Please do not trespass onto private property, driveways or private roads. Enjoy the trail! …for more information on helping to preserve this natural space. You will also find information there on upcoming events and volunteer opportunities.